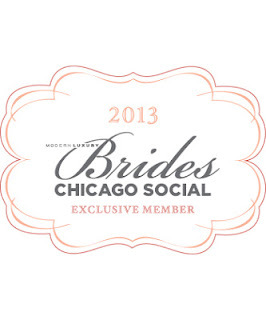 We are a proud member of Chicago Social Brides! More posts later this week. I'm working on the gift bags for the Bridal Lounge at the James before heading out this evening to see a new line of invitations at Magnificent Milestones. I am eager to start some Real Weddings posts but I have to finish a few more proposals before getting elbow deep in blogging.